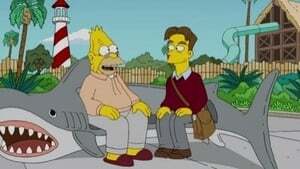 "Bart Gets a 'Z'" is the second episode of The Simpsons' twenty-first season. It originally aired on the Fox network in the United States on October 4, 2009. 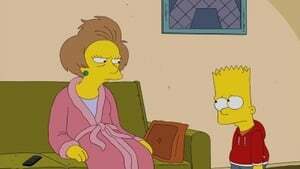 In the episode, the fourth grade students of Springfield Elementary School decide to spike Ms. Krabappel's coffee in order to teach her a lesson after she takes away their cell phones. She is fired by Principal Skinner, who hires a new teacher named Zachary Vaughn. Although Vaughn is a hip young teacher who impresses the students, Bart is plagued by guilt and tries to get Ms. Krabappel hired back. In its original airing, the episode had an estimated 9.32 million viewers and received a Nielsen rating of 5.1/8. The episode was written by Matt Selman, and directed by Mark Kirkland. The men and boys in Springfield become obsessed with Ultimate Punch Kick and Choke Championships, a violent sport where fighters inflict severe pain on each other. When Marge and her friends stage a protest against the sport, the show's promoter embraces the controversy and challenges Marge to a match, promising to shut down the competition if she wins. She begins to train with rhythmic gymnastics, but her family step in and get her professional martial arts help to give her a real chance at winning. Dial "M" for Murder or Press "#" to Return to Main Menu- Lisa is forced into a Hitchcockian murder scheme by Bart. 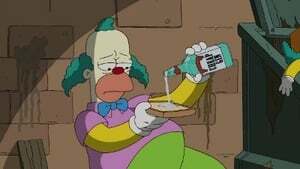 Don't Have a Cow, Mankind- Springfield is once again overrun by zombies, thanks to Krusty Burger's latest sandwich. There's No Business Like Moe Business- In a Sweeney Todd spoof, Moe bleeds Homer dry to create the perfect microbrewed great beer. Marge and a group called the "Charity Chicks" pose for a calendar in hopes of raising money for charity, but Marge becomes the talk of the town thanks to her racy poses. Meanwhile, Carl is chosen as the newest supervisor at the nuclear power plant, and hires Homer to be his personal assistant. Principal Skinner is getting fed up with Bart's pranks, so he informs Bart that he is not the best prankster after all. A former student named Andy Hamilton is hailed as the best prankster, and Bart sets out on a mission to track Andy down. However, when Bart finds out that Andy is a 19-year-old still in his pranking days, they become fast friends. 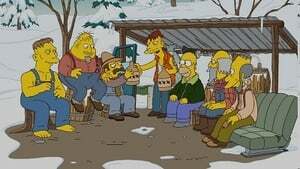 "Rednecks and Broomsticks" is the seventh episode of the twenty-first season of the American animated television series The Simpsons. It aired on the Fox network in the United States on November 29, 2009. 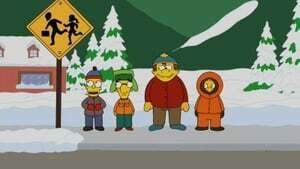 In the episode, Lisa befriends three teenaged Wiccans after getting lost in the woods during a game of hide-and-seek, and must clear her new friends' names when they are accused of cursing the townspeople with their supposed witchcraft. Meanwhile, Homer befriends Cletus after learning that he and his friends make their own moonshine. The episode was written by Kevin Curran, and directed by Bob Anderson and Rob Oliver. In its original airing, the episode had an estimated 9 million viewers and received a Nielsen rating of 4.2/10. The episode also received positive reviews from critics. 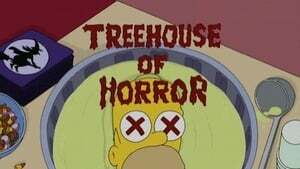 Episode 8 - O Brother, Where Bart Thou? One snowy day in Springfield, Lisa informs Bart that she and Maggie share a bond that Bart will never understand because he doesn't have a brother, so Bart asks Homer for a baby brother. When Homer denies Bart's request, Bart makes his way to the Springfield Orphanage to find what he thinks he's missing. Grampa is sitting on a bench waiting for his family when a thoughtful-looking man named Marshall Goldman approaches him and asks to hear about his life. Grampa tells Goldman about the time he was on a World War II battleship, which was hit by an enemy torpedo, and Goldman, a human-interest columnist, publishes it in The Springfield Shopper. Later, Grampa meets Mitch Albom and shares another story with Goldman for a follow-up article. Homer becomes jealous of Grampa's newfound fame and seeks a surrogate father. But when Homer discovers a draft of Goldman's third story, he must race to find Grampa before it is published and his life is changed forever. Krusty grudgingly adds a pretty, singing cohost named Princess Penelope to his show in order to attract more female viewers. Girls love her, and ratings improve, but Bart and Milhouse want to get the show back to the way it was. The situation gets more complicated when Krusty and Penelope fall in love and decide to get married. Meanwhile, Homer, Lenny, and Carl consider working at a competing nuclear plant when Mr. Burns cuts off their daily doughnut service. Homer blows off Marge to buy a lottery ticket and winds up winning the million-dollar jackpot. 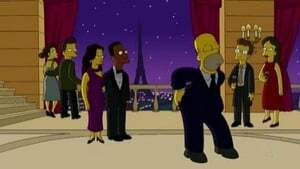 Fearing how Marge will react if she finds out the reason Homer missed their date, Homer keeps his newly inherited fortune a secret and spoils his family with “anonymous” gifts. When Bart finds out, he and Homer spend the money like it’s going out of style, including buying front-row to tickets to see Coldplay in concert. 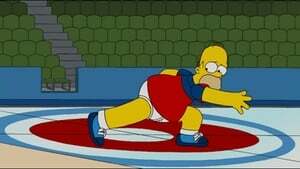 Homer takes Marge out for a romantic evening of ice skating and hand-holding, but upon entering the rink, they encounter a curling team practising. Marge and Homer take to the ice and discover their love for the sport, and soon after, join the curling team and compete with them in the Olympic trials. Team Springfield claims the win and moves on to the 2010 Vancouver Games where Bob Costas covers the action. Meanwhile, sleazy vendors introduce Lisa to the world of collecting Olympic pins, and before long, Lisa is hopelessly addicted. When Miss Hoover asks her students to research their family history, Lisa is horrified to discover that most of her ancestors were bad people – a motley crew of horse thieves and deadbeats. But while rummaging through the attic, Lisa happens upon a diary kept by her ancestor, Eliza Simpson. As Eliza’s story unfolds, Lisa learns that her family was part of the Underground Railroad, a group that helped slaves escape to freedom. Eliza recounts liberating a slave named Virgil, but when Lisa presents her findings at school, some of her classmates refute it, leaving Lisa determined to exonerate her family’s name. When Bart fails to turn in his homework, Mrs. Krabappel sends a letter home about Bart's behaviour. Despite Bart's best efforts to intercept it, Homer reads the letter, and he and Marge visit Principal Skinner for a parent-teacher conference. Furious, Homer punishes him, but Marge takes a more sympathetic approach. When Bart realizes he can pit Homer and Marge against each other to his benefit, his scheming reaches new heights. 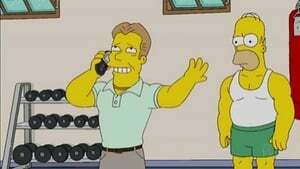 Principal Skinner announces that Mrs. Krabappel was called out of town and budget cuts dictate that, until she returns, the school's two fourth grade classes will merge. Bart reluctantly shares a desk with Nikki and develops a flirtatious rapport. Bart talks to Grampa about his new crush, and at Grampa's suggestion, gives Nikki a kiss. But when Nikki starts sending Bart mixed signals, he swears off women forever. 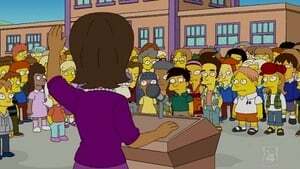 Meanwhile, Lisa's classmates ostracize her for being an overachiever, and First Lady Michelle Obama, a self-professed nerd, comes to Lisa's defence. 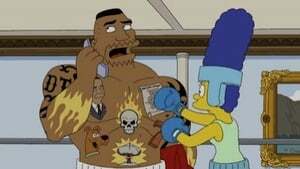 "The Greatest Story Ever D'ohed" is the sixteenth episode of The Simpsons' twenty-first season and the 457th episode overall. It aired on the Fox network in the United States on March 28, 2010. 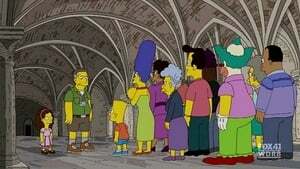 In this episode, the Simpsons vacation in Israel with Ned Flanders, but Homer does not appreciate any of the culture—until an Israeli tour guide named Jakob shows him around and, in a severe state of dehydration, Homer believes he is the Messiah. The episode was written by Kevin Curran and directed by Michael Polcino and guest stars Sacha Baron Cohen as Jakob and Yael Naim as Dorit and features references to films like Transformers and Veggie Tales. "The Greatest Story Ever D'ohed" received a 2.7/8 Nielsen Rating in the 18-49 demographic and received mixed reviews from critics. 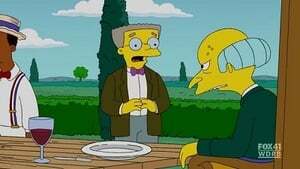 When the police are called to diffuse a rowdy crowd at Mr. Burns' estate, one of the officers recognizes priceless stolen paintings on the walls, and the maniacal billionaire is taken downtown for questioning. With Mr. Burns gone, Smithers takes charge of the power plant. But when employees take advantage of his good nature, he exacts revenge by forcing the employees to work night and day. These unfair working conditions prompt Homer and his crew to devise a plan to bust out Mr. Burns. 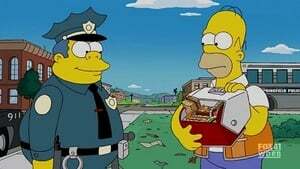 Homer is completing his court-ordered community service when he befriends his supervisor, Chief Wiggum, by offering him one of his sandwiches. Touched by the act of kindness, Wiggum assigns the other convicts unpleasant tasks, but allows Homer to join him at the picnic table. They continue to grow close, but when the Chief gets injured during a botched bank robbery, Homer doesn't come through when Wiggum needs him the most. 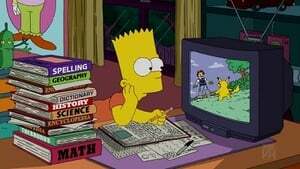 Meanwhile, Bart becomes addicted to Battle Ball, a Japanese game made up of plastic balls and magnetic cards, and his family and teachers try to help him kick the habit. The Simpsons decide to embrace a cheaper, alternate source of energy by erecting a wind turbine in their backyard. 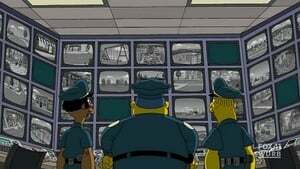 But when Homer realizes some of the power is being directed to the local electric company, he decides to remove his home from the grid and becomes completely dependent upon an unreliable source of power. 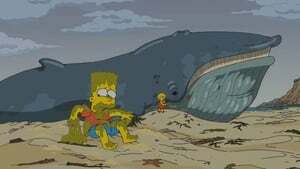 Meanwhile, a storm erupts, trapping a magnificent 150-foot-long blue whale ashore, and Lisa and Homer attempt to help the poor creature. 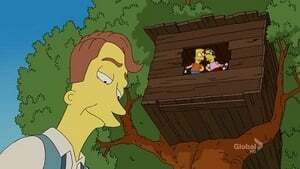 As Mother's Day approaches, Moe narrates an episode in which he writes a letter to Homer, Apu and Reverend Lovejoy, who are vacationing with their children, and threatens to run away with one of their wives. 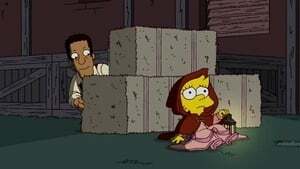 While the trio tries to determine whose wife Moe is referring to, Homer, Lovejoy and Apu flashback to the intimate moments they initially ignored between Moe and Marge, Manjula and Helen Lovejoy. But when the boys return from their trip, they're in for the surprise of their lives. Bart becomes convinced that his new neighbor, Walt, is his archenemy, Sideshow Bob, disguised and back for revenge. But when Marge tries to convince Bart otherwise by taking him to visit the state penitentiary, a disturbing truth is revealed. When Moe discovers a hidden talent for judging contests, he is approached by a television agent to join the AMERICAN IDOL judges' panel. Moe flies to Los Angeles where he tours the Fox lot and receives some sage career advice. Meanwhile, Homer drives Marge crazy when he begins hanging around the house.